Actress Binita Baral has celebrated her birthday on October 8 in Kathmandu. The success of Binita’s debut movie ‘Chapali Height‘ took her in the height of popularity in Nepali cinema. 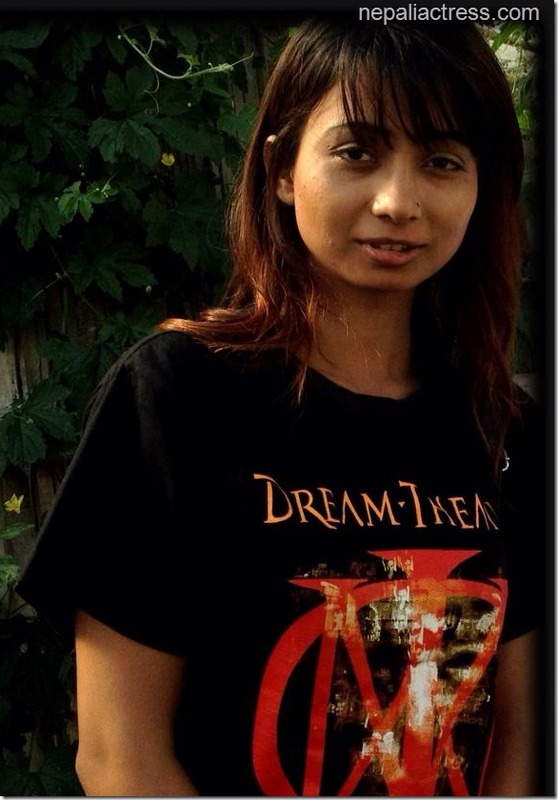 Her recent venture in organic farming has also crated a lot of buzz in Nepali cinema and business circle. On her birthday Binita went to Ganesh temple in the morning to start the day. In the evening she had a simple gathering to celebrate. Because of the festive season, Binita had canceled a bigger program. After the success of her first movie, the second movie didn’t do well in theater. Binita seems to be highly hopeful of the upcoming movie ‘Superhit’. The movie is expected to release after the election. Nepaliactress.com wishes Binita a very happy birthday and wish the success of organic farming business and a huge success of her upcoming movie ‘Superhit’. 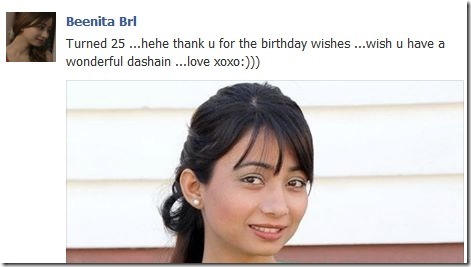 Update – In a Facebook post, Binita says that she has turned 25 years old. This entry was posted in Birthday, News and tagged Binita Baral, birthday, Superhit. Bookmark the permalink.